Develop your understanding of one of the key components of the Striving Styles - innate psychological needs. Learn how all of our behavior consciously and unconsciously seeks to get these needs met. 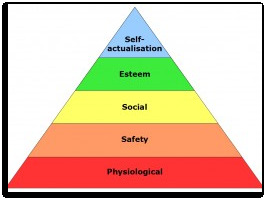 You will also learn how each of us has a predominant need that must be met in order to be psychologically secure. Discover the impact of frustrated needs on our behavior and why we tend to ignore our own needs.